From its early days when Adjustoform Products manufactured just 100 dress forms each week back in 1967, current production capacity and customer demand has seen the business relocate to new premises and, with the help of System Store Solutions create a working environment capable of producing up to 1500 units per week, with 80 per cent of its products destined for export markets. 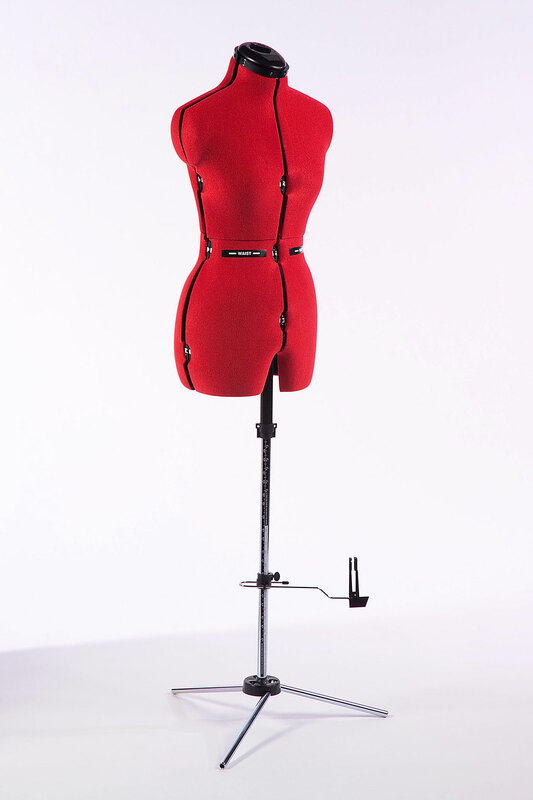 The dress forms (or Adjustable Dressmaking Models) manufactured by Adjustoform Products are life-size mannequins used by dress makers and can be adjusted to match an individual’s measurements. With up to 1500 of these being manufactured each week, space is a primary concern for the business along with ease of movement within its premises of raw materials and finished goods. Therefore, when Adjustoform Products found itself having to relocate to new premises at the end of 2017 maximising available space became a priority. While it found five linked units that were geographically suitable, given its reliance on local labour and sub-contractors, they didn’t provide the space required. The solution, a mezzanine floor that covered three of the units, along with conveyor systems to transport raw materials and finished goods from one floor to the other. 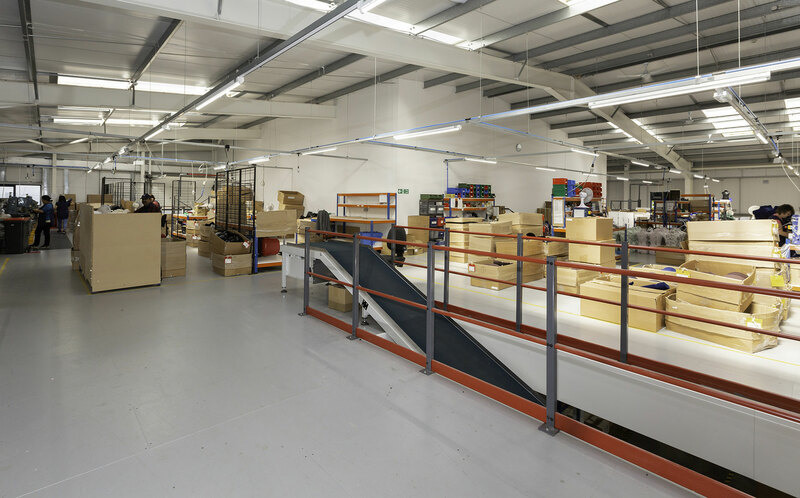 “We needed to make full use of the space available so started to look around for suitable suppliers of mezzanines, it was then that our landlord pointed out System Store Solutions, who are located across the road from our new units. They came in, did a site survey and quoted a very competitive price for the work. Given their location and our need for a quick response to this requirement it made perfect sense to give System Store Solutions the contract,” says John Fagg, Managing Director, Adjustoform Products. The initial installation included the mezzanine floor covering 500 m2, a single conveyor (a second would be added soon after the initial installation was complete) and fire safety systems to meet all the relevant building control regulations. All of this had to be delivered and installed within a two-week timeframe to minimise disruption to production, so System Store Solutions did some pre-installation work off-site to ensure the deadline was adhered to. With the second conveyor installed, Adjustoform Products now has a clean flow of raw materials in and finished goods out, with an open plan manufacturing facility on the mezzanine floor. 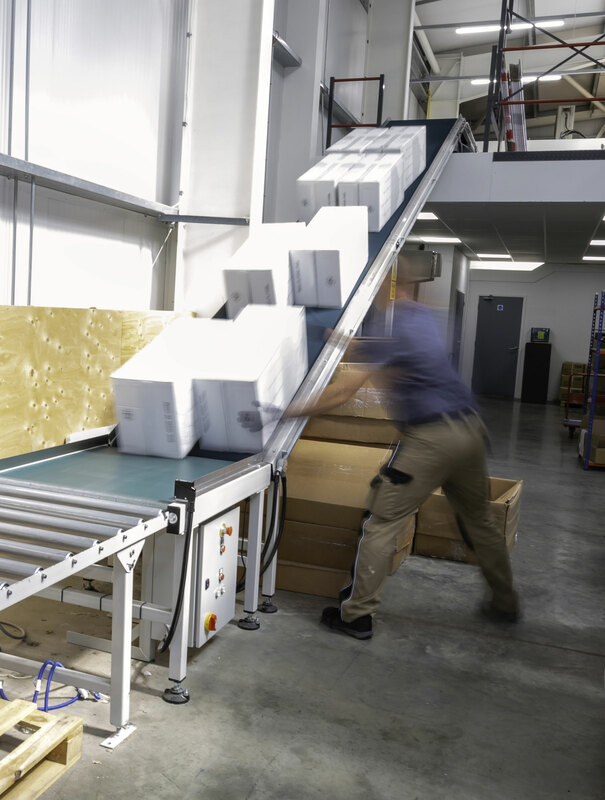 Factory efficiency is improved with this flow of work and the additional space created allows for increased output and storage as the business continues to grow. “While production of 1500 dress forms per week may sound like a high number, there are still many opportunities to grow the business. Almost all our products are bought by private individuals, with dressmaking as a hobby and my ambition is to have one of our products in every home. So, we have some way to go,” says John Fagg. This partnership with customers is at the heart of every project that System Store Solutions is involved with. From initial site surveys, through the quotation process and installation by SIERS trained installers it provides continuous support to customers. Its warehouse design team can provide solutions based on standard shelving, racking, transportation systems, pallet racking, shelving, cantilever storage and mezzanine’s, through to truly bespoke design solutions.